The Bipartisan Budget Act of 2015, signed into law November 2, 2015, repealed the long-standing audit and litigation procedures for partnerships that had been enacted in the Tax Equity and Fiscal Responsibility Act of 1982 and created a statutory framework for new partnership audit rules. The new partnership audit rules make fundamental changes to how the IRS will examine and make adjustments to returns for partnerships and all similar flow-through or disregarded entities that are currently treated in the same manner as partnerships for tax purposes, such as limited liability companies. Question: What issues should partnerships and partners consider in response to the new partnership audit rules? Answer: While the new rules take effect under the statute for tax years beginning on or after January 1, 2018, partnerships may elect to apply the new rules for the 2016 and 2017 tax years. More significantly, the impending changes to partnership audits require careful consideration of the provisions in partnership agreements now—well in advance of the effective date. Most basically, Section 6221(a) of the new partnership audit rules require that any adjustments be made at the partnership level and, barring an election by the partnership, that additions to tax, interest, and penalties be imposed and collected on the partnership level. Prior to the enactment of the new partnership audit rules, it was a fundamental principal that partnerships did not pay income tax. Adjustments to partnership income flowed through to the partners as adjustments for the taxable year under review. Section 6225 of the new partnership audit rules provides that any tax adjustment will be taken into account by the partnership in the year that the adjustment is made. In other words, barring an election, an IRS examination of a partnership for the tax year 2018 that is concluded in 2022 will result in a liability against the partnership in 2022. In contrast, under TEFRA, an IRS examination of a partnership for the tax year 2012 that is concluded in 2016 will result in computational or affected item adjustments to the returns of the partners for the tax year 2012. The statute contains two provisions for electing out of the new regime. The first, more limited option is provided in section 6221(b) for certain partnerships with 100 or fewer partners. To qualify, the partners must include only individuals, C-corporations, foreign entities that if domestic would be treated as C-corporations, S-corporations, and estates of individuals. A partnerships that has another partnership, limited liability corporation, or similar disregarded entity among its partners is precluded from making this election. A partnership with an S-corporation as a partner must count the shareholders of the S-corporation for purposes of meeting the 100-or-fewer partners requirement and otherwise must treat those shareholders in a manner consistent with partners under section 6221(b). This election is to be made annually with a timely filed return, and it requires notice to the partners and disclosure of the names and tax identification numbers of partners to the IRS. The statute authorizes regulations for identification of foreign partners and others not specifically included in Section 6221(b). The new partnership audit rules also authorize regulations that would allow a partnership to elect out of imputation of tax liability on the partnership itself. As set out in Section 6226, the partnership may make an election before forty-five days after the date of the notice of final partnership adjustments, which is the notice that triggers the partnership’s right to petition the Tax Court under Section 6234 of the new partnership audit rules. The partnership must also provide a statement to each partner for the tax year under review, and to the IRS of the partner’s share of any adjustments, in a time and manner to be set out in implementing regulations. The tax liability will then shift to those partners, to be calculated as adjustments in the year under review. The partners then should report the adjustments by a simplified amended return process. At a very basic level, the new partnership audit rules create a tension between those who were partners during the year under review and those who are partners when any adjustments are finally made. The total resultant tax liability could also vary depending on whether the partnership proceeds under the default regime under Section 6225 for imputed tax at the partnership level or whether it makes the election under Section 6226 to shift the liability to the partners of the partnership for the year under review. Absent an election, in general the imputed liability will be determined by netting all adjustments and multiplying the net amount by the highest tax rate in effect for the reviewed year. The statute contains provisions that permit the partnership to reduce the imputed liability based on certain partner-level information from the reviewed year, including, for example, whether any of the partners filed amended returns in accordance with the adjustments, the tax rates specific to particular partners, or the tax-exempt status of any partners, or the character of the income as ordinary, capital, or dividend. Nonetheless, the resultant tax liability under Section 6225 may nonetheless exceed the total liability if the Section 6226 election is made. Conversely, the new partnership audit rules also provide for a higher rate of interest if the Section 6226 election is made. Regardless of whether the election is made under Section 6226, penalties are to be determined on the partnership level, but if the election is made, the penalties will be borne by the partners for the year under review. The new partnership audit rules also fundamentally change who may act for the partnership. TEFRA required partnerships to designate a tax-matters partner and provided mechanisms for partners with interests at certain thresholds to receive notices, to initiate proceedings if the tax matters partner did not, and to participate in any proceeding or settlement. The new partnership audit rules eliminate these provisions. Instead, partnerships will be required to designate a partnership representative who must have a substantial U.S. presence but who need not be a partner. The partnership representative will have the sole authority to act on behalf of the partnership and can bind all partners. The new partnership audit rules were included in the Bipartisan Budget Act because the government perceives the new rules as enhancing its ability to recover tax revenues from partnerships. The new rules are clearly designed to simplify the IRS’ administrative burden. Absent an election, the IRS examination, all subsequent proceedings, and all collection efforts will be directed at the partnership. Partnerships currently in existence and those formed subsequent to the legislation face immediate questions, including: How will the representative partner be selected? Will the representative partner be required to follow the directions of the partners (and will eventual regulations permit such terms)? Should the partnership commit now to make an election as a small partnership or shift liability from the partnership to prior partners under Section 6226? If the partnership elects to shift liability to the partners for the year under review, what obligations will the representative partner have to that group, and who bears the cost of continuing to dispute any liability? Should the partnership agreement provide for any indemnifications? Or should new partners come into the partnership with an understanding that they have engaged in due diligence and will bear the burden of past tax liabilities? While one approach may be preferred over another in many circumstances, there is no clear one-size-fits-all approach as to how partnerships may want to prepare for the changes to the partnership audit rules. Partnerships, partners, and would-be partners will also face challenges in addressing these issues in the current vacuum of implementing regulations. Foremost, Section 6226, which allows for the election to shift liability from the partnership in the year of the adjustment to the partners in the year under review, is dependent on regulations as to the manner in which the election is to be made and the form of the notice to be provided to the partners. 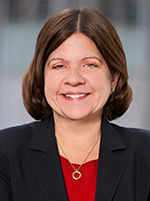 Kathryn Keneally is a partner at DLA Piper.